Welcome back to the new term. The last term of the year is always an incredibly full one with lots on, lots to celebrate, and lots to look forward to! There is one event that is being planned for Friday 2 November, which I am sure many people will look forward to. I would like to use this article to draw your attention to an organisation called Smart Pups. 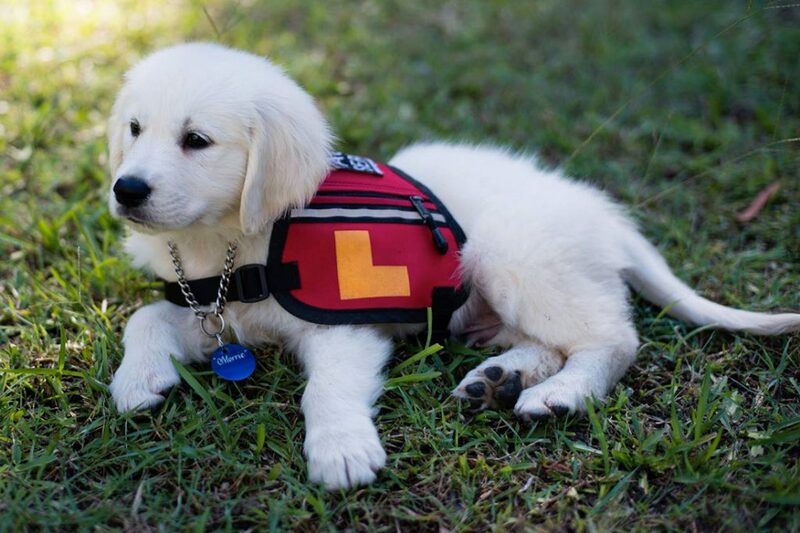 Smart Pups is a not-for-profit charity organisation based on the Sunshine Coast. They provide Assistance Dogs to children, and are trained to accompany the child at all times. They train Diabetic Alert Dogs, Seizure Response Dogs, and dogs for children with autism and other special needs. What a Smart Pup can do is simply amazing. When properly trained, they can sense when a person is about to have a seizure and get them help. They can literally save lives. It costs between $25 and $30,000 to raise and train a dog in readiness for its work. The reason I am drawing this to your attention out of the myriad of other worthy charities is that we have a student with life threatening Type 1 Diabetes. His family have applied for a Smart Pup, which will make their lives so much easier. Once the dog is trained, it will accompany the student to School as a certified Diabetic Alert Dog. To support the work of Smart Pups, we are planning a number of fundraising events with the goal of raising $5,000. This money won’t go towards the training of this particular family’s dog, but will support the work of Smart Pups. In the not too distant future, you will see information about a Pet Extravaganza to be held on Friday 2 November. This event is being planned by a group of supportive parents.